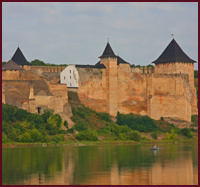 For the first time is mentioned in historical sources in 1363 as a fortress built by Fedor Koriyatovich. 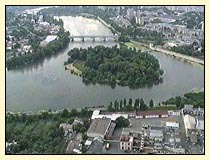 There are several interpretations of the name of the town: distillery, from from the name of the river Vinnychka on which the town was founded. The fortress and the town itself were attacked, burned, devastated and sacked by Tatars for 16 centuries. In 1598 the capital of Bratslav office of voevod was transferred to Vinnytsya instead of Bratslav. Such a change was caused by recent decay of Bratslav. 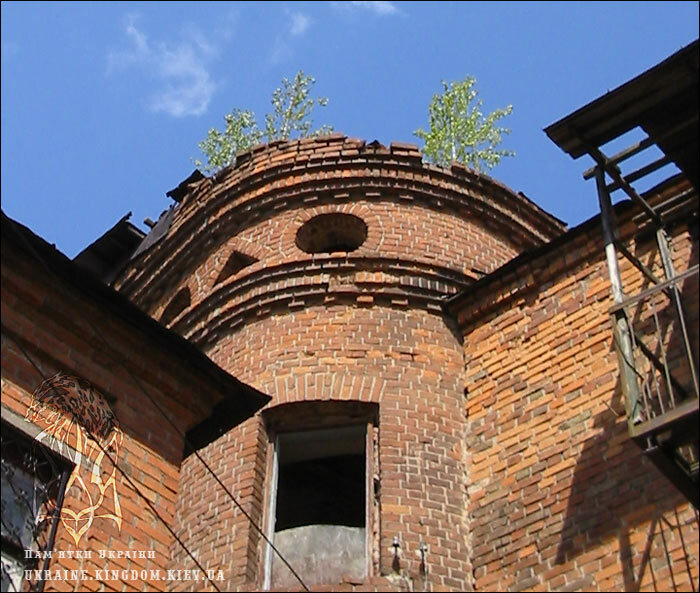 It stood too near to Zaporojskaya Sech which was highly unsafe, besides Bratslav was one of the towns constantly attacked by the Tatars. 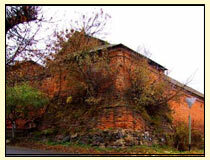 Vinnytsya became a capital and her economy began to develop rapidly. Dominican and Jesuit churches, orthodox collegiums were built. The town got privileged. 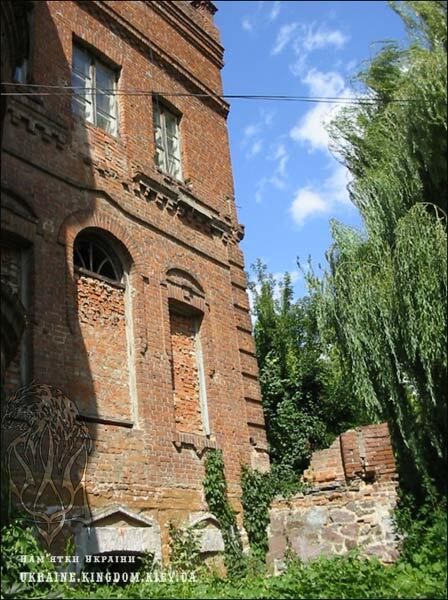 In 1640 the Magdeburg rule was renewed, which the people of Vinnytsya used since 15 century. In 1633-67 the vinnystsky regiment is located there. From 1790 the town was under the rule or Russian Empire. At first Vinnytsya was a province town but after Kamenets became a centre of Podilska province it became a volost town. In 1796 the fortress was ruined, a prison was built in its place on Kempa. A new plan of streets was established then. 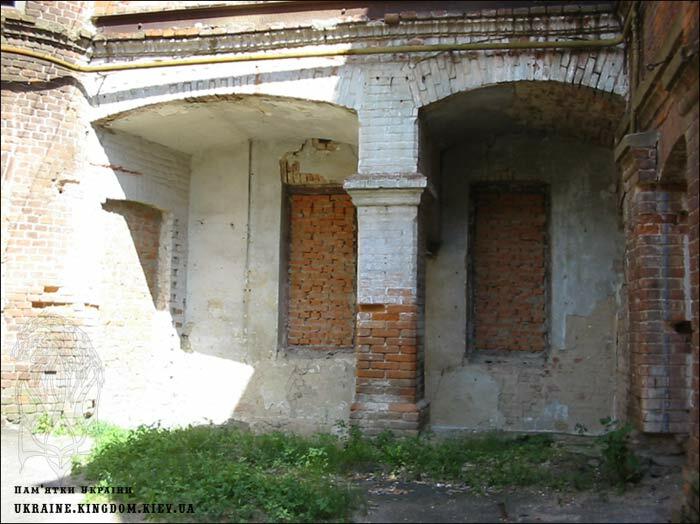 After the rail road Kiev-Balta-Odessa was built in 1870 the town began a new life in trade and industry: mills, plants and new quarters appeared. The names of the streets were not different from those existing in Russian Empire: Monastirska, Torgova, Sadova, Dvoryanska, Policeiska. The theatre with impressed the general so much was pitifully destroyed during the WW2. In Savoy hotel in Vinnytsya was located the Government of Ukrainian People’s Republic. During WW2 not far from Vinnytsya a post “Werewolf” was situated. The population from 100000 reduced to 27000. M.Kotsubinsky was born and lived for 33 years in Vinnytsya. His last years a great scientist, surgeon, the establisher or the Russian Red Cross association M.I.Pirogov spent in Vinnytsya. 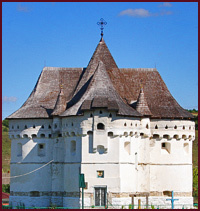 The fortress (wooden at first) was built in 1363 by Koriyatovich on the hill a little bit lower the place where river Vinnychka flows into river Bugh. 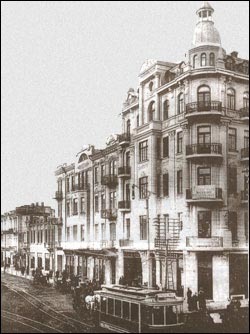 Nowadays in the place where the fortress once stood are modern streets and buildings. The fortress was not big, a rectangular space of 50х70 m. The entrance led through the drawbridge, the walls were made of pine and oak. On this territory stood a church, a well, and an underground passage to the river. 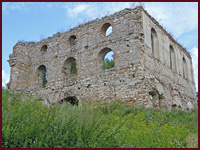 The fortress was often attacked, burned and destroyed. In the period 0f 1400-1569 it was attacked for 30 times. In 1541 the town was devastated by the Tatars. 4 years later Sigismund’s secretary made an inventory of the fortress, the state of which was unsatisfactory. 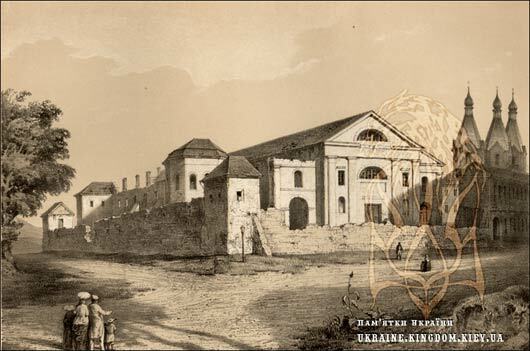 In 1558 a new wooden fortress was built by Bogush Koretsky and Valanty Kalinovsky on a more advantageous place: on more inaccessible banks of the Kemp island. 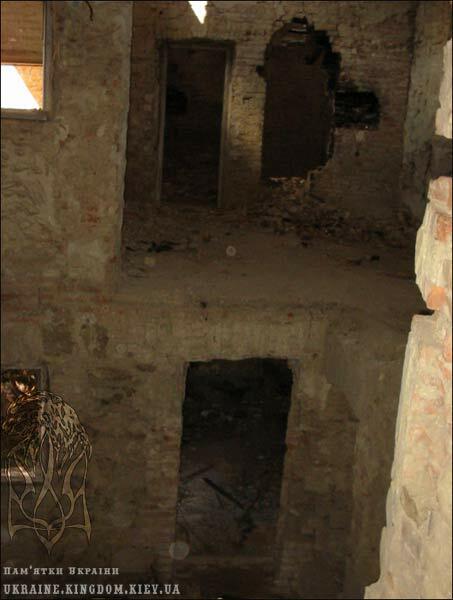 The fortress didn't stand for a long period of time: during one of the attacks it was burned down. The castle was renewed but the documents, laws, including the Magdeburg rule which was reestablished only in 1640. In 1610 for Valentine Kalinovsky money a church, a collegium and a convict were built. All of the Jesuit order buildings were surrounded by thick walls. Some parts of the walls were guarded with a corner tower, the height of the walls and the tower being the same. The church stays till nowadays in spite of the destructions, fires, but it had changed its look after several reconstructions. From the altar side of the church a monastic hull was built. The front might have had two corner towers, the parapet was built in their place in 19 century approximately. At the same time the cast-iron steps were built. 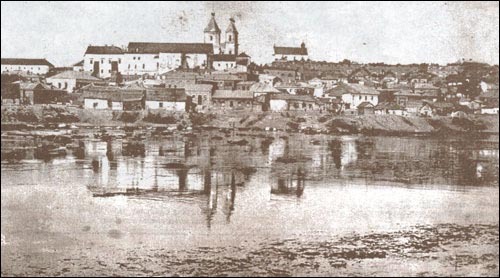 The Dominicans appeared at Vinnytsya in 1621. 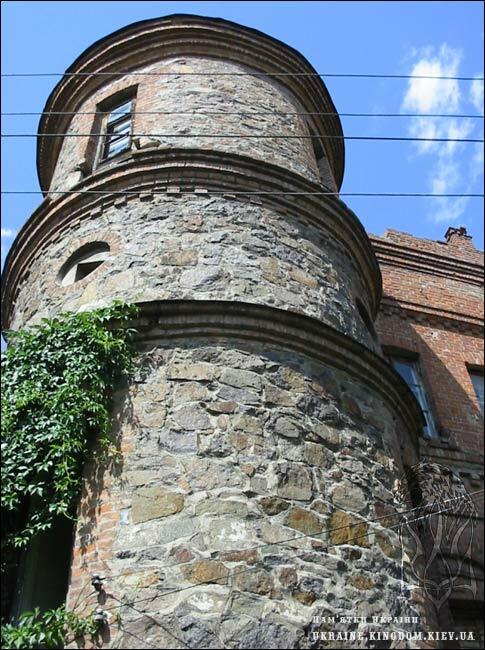 The elder of the city Ian Odrjivalsky gave the order a place inside the Walls (Muri). Not far from the Jesuits the Dominicans built their own cathedral. In 1748 the order became extinct, but was reestablished in 1758-1760 by Bratslav judge magnate Michael Goroholsky. A part of the cathedral became a tomb for the magnate and his family. In 1835 the order was abolished , four years after the cathedral was transformed into an orthodoxal one. To make the cathedral look orthodoxal the summits of the two towers were transformed into false domes, the third dome was also built. After the October revolution in 1917 the towers and the domes were removed. It was used as a organ music hall. 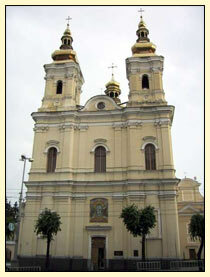 Since 1991 it was consecrated as an orthodoxal Transformation cathedral. On the other side of the street, opposite the walls, is the third Catholic monastery - Franciscan monastery, its founder was magnate Kalinovsky. The laying of the first stone in 1744 was accompanied by a solemn mass. Canons fired, two choirs sang, the founder was lying on the ground in the shape of a cross. The monastery was abolished 1888 when all the other Catholic monasteries were closed down. The Franciscan order is one of the most strict and modest, this is displayed not only in everyday life of the monks, in their clothing, but even in the decoration of the cathedrals. 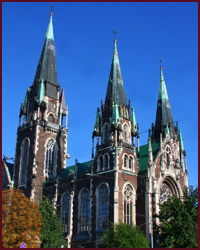 The cathedral is built in a form of a basilic with a small tower. To the left a brothers' habitat was built. There was no traditional heating from the stove. Hot air came through underground pipes from the great kitchen stove. A 35 meter well was situated on the territory, which was linked to Bugh river. All three cathedrals were linked to each other with underground passages. Pjatnichany (in ukrainian) and Pirogovo(in ukrainian) once were separate villages but now they are officially a part of Vinnytsya.